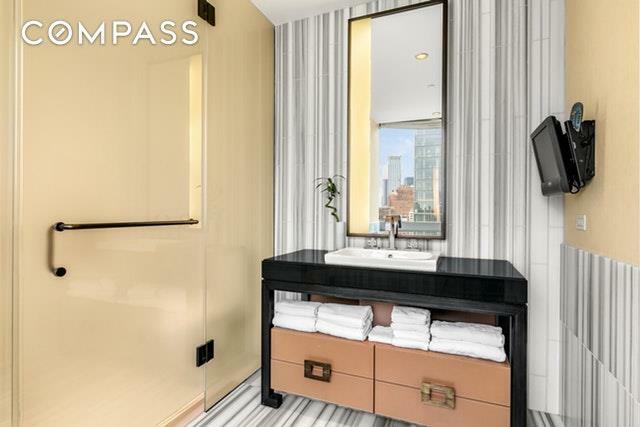 The Dominick is the most exclusive condo hotel development in downtown New York, merging uptown elegance with downtown edge. 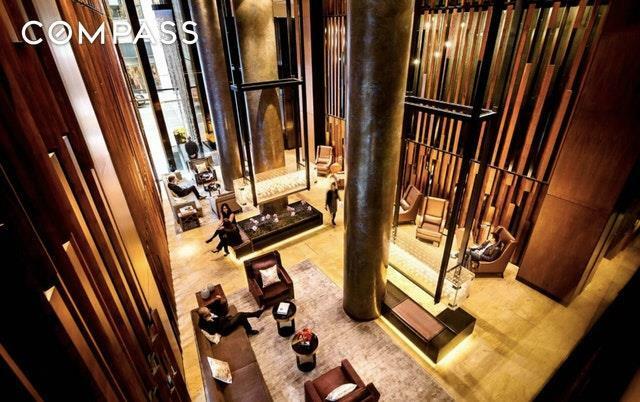 Located on Spring Street in West Soho, near the best dining, shopping and entertainment, the hotel is top ranking and AAA diamond award recipient. The impressive glass tower created by Handle Architects and exquisitely designed by the Rockwell Group, has exceptional amenities including fine world-class dining, an intimate library, Babor Signature spa featuring Turkish Style Hammam, state of the art fitness center, outdoor pool lounge, and a private top floor venue with several conference rooms and business centers.The 22 foot high, chic lobby, has friendly and helpful staff, also dressed to impress- whose uniforms have been exclusively designed and tailored in collaboration with clothing guru John Varvatos. 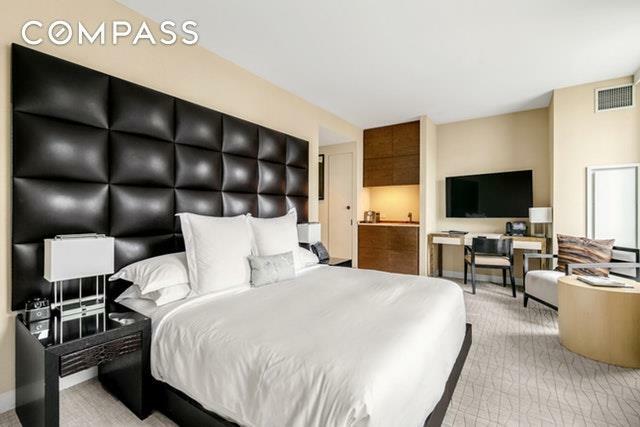 The Dominick is the first hotel to do such collaboration.The Dominick offers a unique opportunity to own an investment or pied-a-terre for the owner to use up to 120 days of the year*. When the unit is not in use, it automatically becomes a part of the hotels rental program to offset costs and create revenue. There is no effort needed on the part of the owner other than book their stay when he or she wants to visit. Unit 2004 is a studio apartment with floor to ceiling windows and gorgeous views of the city and Freedom Tower. 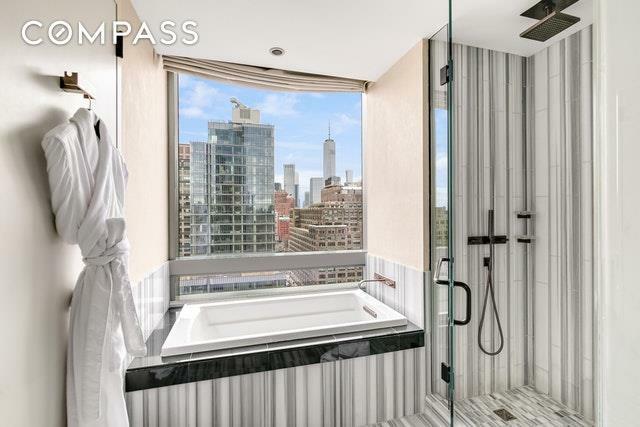 The interior furniture dcor is by FENDI CASA, and the oversized bathroom features custom Italian marble, a walk-in rain shower and a fantastic deep soaking tub overlooking southern city views. A private owners locker is provided to store personal items while the unit is being rented to other guests. The hotel also offers other nice perks to owners. Do not miss the opportunity to own a piece of New York. Contact me for more information. *owner can stay up to 120 days in a calendar year, and up to 29 nights in a 36 day period.